Musica - HOT OFF THE PRESS! May 2019 be a happy, healthy and prosperous one for all. ​Happy Fourth of July 2017 from Musica Musicians' Carolina Cut-Ups! A last performance with Van Quinn and the Junior Choir of Chapel of the Cross before he retires after 47 years. With Laura, Rob. and Jane. Fun playing for the cocktail hour after a wedding ceremony in Chapel Hill. One of our favorite events,for at least 10+ years, the Duke University GLS Hooding ceremony. 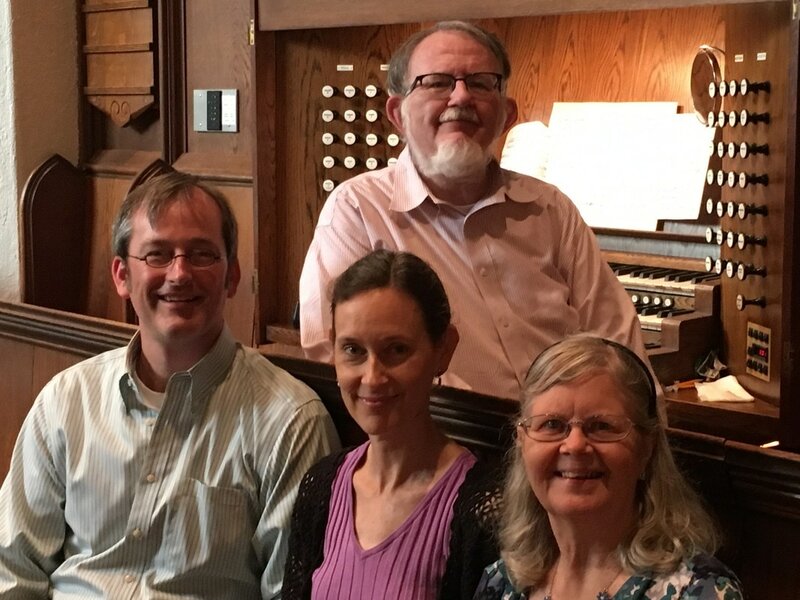 A Palm Sunday performance in Chapel Hill of Dubois' "Seven Last Words" with Musica musicians and choirs from the University United Methodist Church and St. Thomas More Catholic Church. 2017 The Musica String Ensemble in Duke Gardens. 2016 The Musica String Ensemble in the Gardens of Duke University, performing the Vivaldi Concerto for 2 Cellos with soloists Atilla Szasz and Jane Salemson. Many of Musica's players perform with local symphonies and chamber ensembles. Below, the Durham Symphony Cello Quartet performs in the Durham Performing Arts Center with guest Dr. Tim Holley, who kindly filled in at the last moment when a quartet member had a sudden family emergency. A "Dixie" band performing on July 4, 2016 in Chapel Hill.